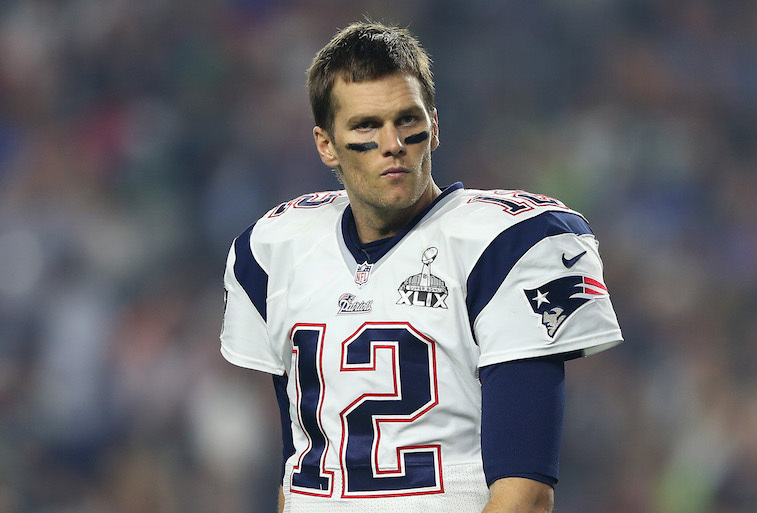 As you’ve likely heard by now, New England Patriots quarterback Tom Brady (pictured above) is officially going to miss the first four games of the 2015 season. NFL Commissioner Roger Goodell listened to Brady’s appeal, but still chose to uphold the suspension for the three-time Super Bowl MVP’s involvement in the Patriots’ Deflategate scandal. Goodell’s basis for his final ruling came in large part due to the fact evidence emerged showing that Brady had destroyed his cellphone right around the time he was originally set to interview with independent investigator Ted Wells with the 37-year-old quarterback being completely aware that Wells was going to ask for evidence from the phone in question. 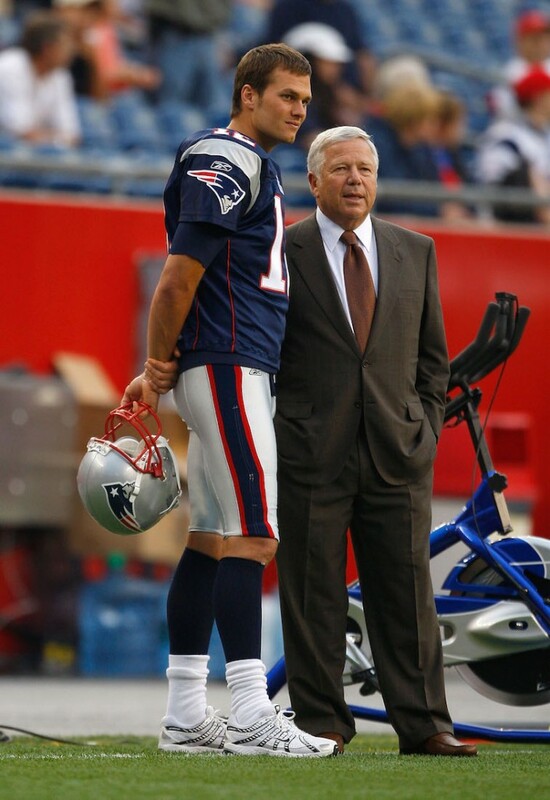 Needless to say, the news didn’t go over well with Brady and Patriots owner Robert Kraft. Brady released this tirade through his Facebook account and has authorized the NFL Player’s Association to file a lawsuit on his behalf in Federal Court as soon as possible. For as strong-worded as Brady’s statement was, it paled in comparison to the statement Kraft gave to the press the morning after learning about Goodell’s final ruling. The full transcript of Kraft’s press conference can be found here, but we felt compelled to share some of the more memorable one-liners he offered up this morning. Truth be told, anybody who is willing to look at the big picture of the situation objectively will have an extremely difficult time disagreeing with Brady and Kraft. The news of Brady’s suspension happened to come on the same day that Pittsburgh Steelers running back Le’Veon Bell reached a settlement with the league and had his suspension for his August 2014 arrest on DUI and marijuana possession charges reduced from three games to two. It may just be us, but the Patriots using slightly under-inflated footballs for one half of a 45-7 blowout win seems like an extremely minor infraction in comparison to Bell’s legal troubles. Likewise, Dallas Cowboys defensive end Greg Hardy appealed his suspension for his role in a 2014 domestic violence incident with the league, and saw his suspension reduced from 10 games to four on July 10. So, NFL fans are supposed to take as fact that not only does Hardy deserve a 60-percent reduction in his 10-game suspension, but that Brady also deserves the same suspension as a guy who allegedly beat up his girlfriend, threw her onto a futon that was covered with guns, and threatened to kill her? Something doesn’t seem right here. Let’s also consider the fact that Brady is set to serve the same suspension as guys like San Diego Chargers tight end Antonio Gates, New York Giants linebacker Victor Butler, and Denver Broncos defensive end Derek Wolfe, who all tested positive for performance enhancing drugs. Not to sound like a Tom Brady groupie or anything, but it just seems to us like using PEDs does more to damage the integrity of the game than altering the p.s.i. in a football does. Lastly, was the Deflategate scandal really so bad that the Patriots deserved to be slapped with the harshest penalty in NFL history as punishment? Probably not. We understand that a lot of the league’s reasoning for this punishment likely came from the Patriots having a history of bending the rules. With that being said, we believe that coaches organizing bounty programs that offer money to players for injuring their opponents, pumping false noise into stadiums, and filming the signals of opposing teams (which was something the Patriots did) are all deserving of harsher punishments than altering the p.s.i. of footballs. Brady destroying his cellphone right around the time he was scheduled to meet with investigators is definitely fishy. And the fact that Kraft was more than willing to accept the harshest penalty in NFL history for an alleged ball violation because he believed that “it would help exonerate Tom,” proved to be a questionable decision, as his risk yielded no reward. Nonetheless, as the dust settles on this situation, we can’t help but come to the conclusion that the NFL acted unfairly and without precedent towards Brady and the Patriots.